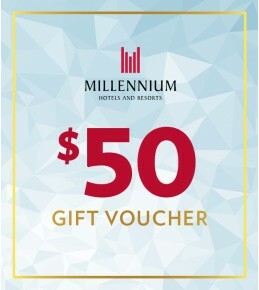 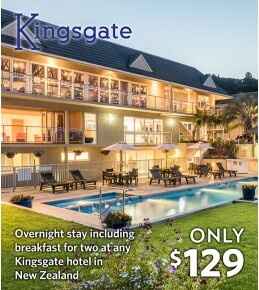 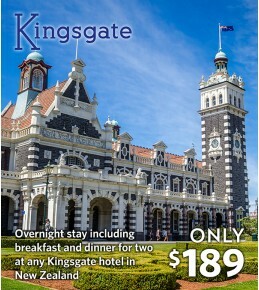 Your Gift Voucher:Enjoy overnight accommodation including breakfast for two at any participating Kingsgate Hotel and Resort in New Zealand.Package Details:Overnight accommodation for two in a Standard Room at any Kingsgate Hotel and Resort in New Zealand Breakfast for two.. 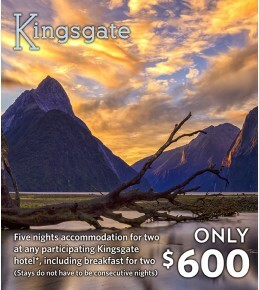 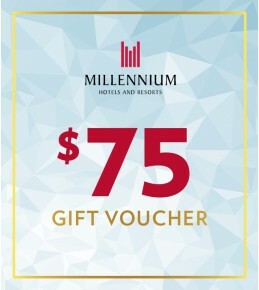 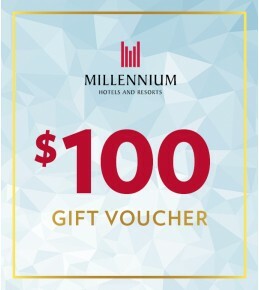 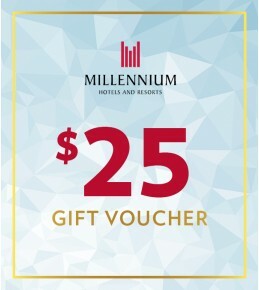 Your Gift Voucher:Enjoy dinner for two and breakfast for two at locations throughout the North and South island of New Zealand.Package Details:Accommodation for two in a Standard Room at any participating Kingsgate Hotel and Resort in New Zealand.A two course dinner for two in.. 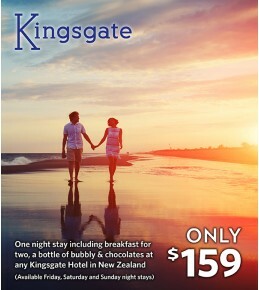 Your Gift Voucher:Slip away for a weekend of tranquility and romance at any participating Kingsgate Hotel in New Zealand.Package Details:One night Standard room accommodation for two at any participating Kingsgate Hotel (Available Friday, Saturday and Sunday night stays only) Full..